A donation of more than two dozen Thanksgiving gift baskets helped the RPC ease the holiday burden on some of the families involved with our Early Childhood Education Program. 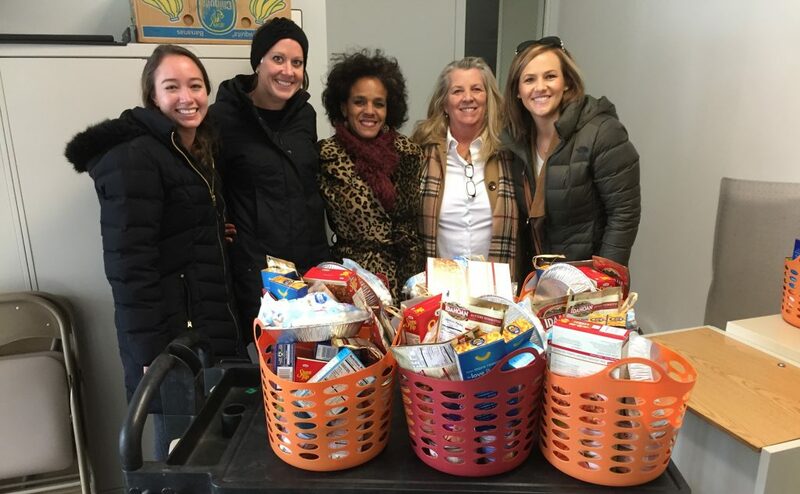 Assembled and delivered to the RPC by The Matt Difanis Team (RE/MAX Realty Associates) of Champaign, the baskets were filled with Thanksgiving staples like stuffing, mashed potatoes, macaroni and cheese, piecrusts, marshmallows, brown sugar, corn muffin mix, and more. Irene Weathersby, the RPC’s Family and Community Engagement Coordinator, secured the donation through Amy Rinehart, Director of Community Involvement for The Matt Difanis Team. During Thanksgiving week, the RPC delivered the 25 baskets to some of the families who have children involved with Head Start, which is administered through the Early Childhood Education Program. Weathersby (middle) and representatives from The Matt Difanis Team can be seen in the photo at the top of this article. Rinehart worked with a large group of RE/MAX Realty Associates agents to collect the items for the baskets. The entire staff of The Matt Difanis Team then helped assemble the baskets at their offices, which were delivered to the RPC on Wednesday, November 14. The mittens, gloves, and hats will be kept at each of the RPC’s Early Childhood Education Centers in Champaign, Urbana, Savoy, and Rantoul so that the children have appropriate winter wear for outside activities. In addition, Stone Creek Church in Urbana donated more than 20 turkeys and food baskets for the RPC to deliver to Head Start families.